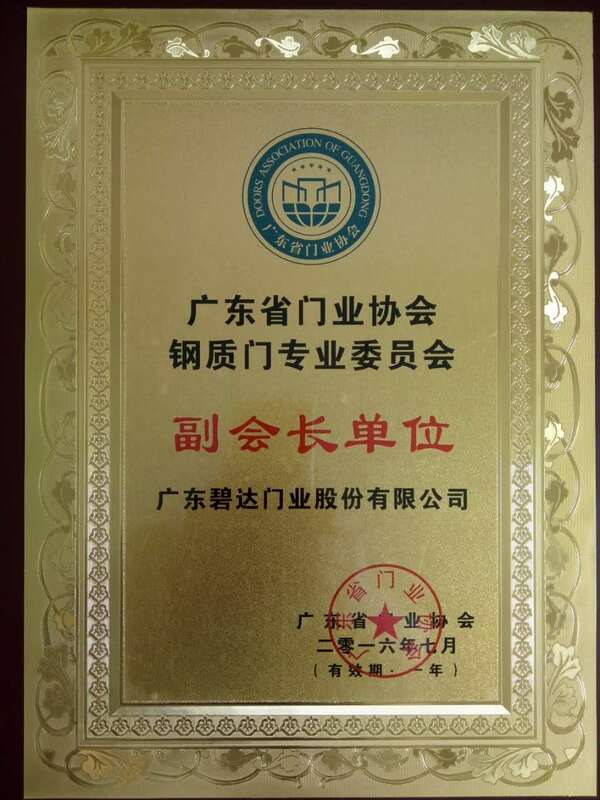 Celebrating the gate of the Guangdong steel door Association vice president of the company. 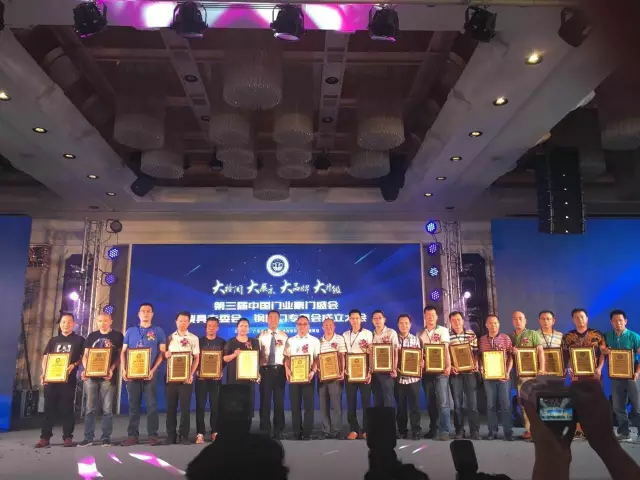 In the third China door industry grand meeting and the Guangdong provincial door association exchange election annual meeting, the top stand glue industry cup Chinese doors and windows technical peak forum, the Huilong paint night grand ceremony Guangdong BDA door industry Limited by Share Ltd elected as the Guangdong steel door Association vice president unit! Being elected is not only a reflection of the strength of the door, but also reflects the affirmation of our association. 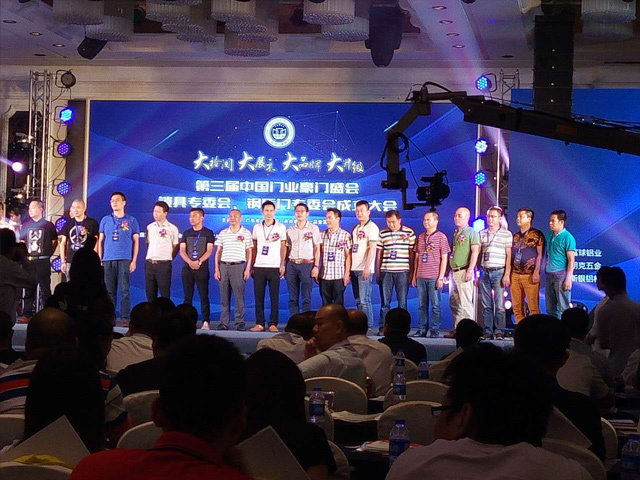 In the lead of the Guangdong door industry association, in the survival of the fittest, the Bi Da door industry improves its ability to resist risk, meets the challenge, seize the opportunity, innovate to occupy the market share, grasp the direction, and seek for it steadily. I believe we will lead a better tomorrow under the leadership of the door association. 上一页：The gate of Guangzhou Royal fair is successfully closed.